It's hard to believe it's July next week! It feels like yesterday that Logan was born and now he is almost 3 weeks old. June has seriously flown by! What do you all have planned for the 4th? We don't have plans yet, but I'm hoping to watch some fireworks somewhere! It's always fun to dress in patriotic colors and July 4th is the perfect opportunity! 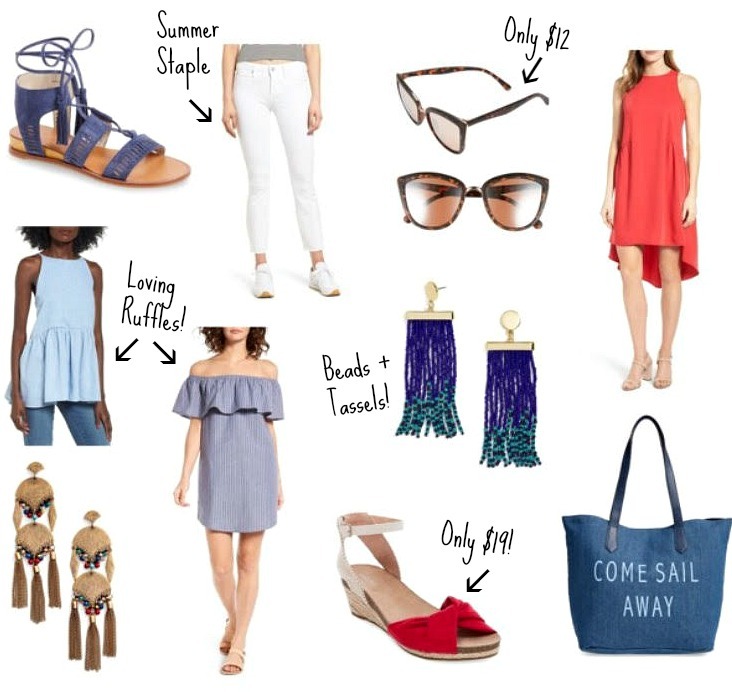 Red has always been my favorite color, but lately I've been loving all things blue, too! The chambray trend continues this season and ruffles are EVERYWHERE. The ruffle off the shoulder dress and tank pictured above are SO adorable! I've rounded up a bunch of items for you all to shop and most should arrive in time for the 4th if you place your order soon. The photos below are clickable and take you right to the site! UPDATE: All LOFT items are now 50% off with code SPARKLER!